As you plan your vacation, we invite you to read our guest reviews here. Our reviews are 100% genuine - unedited, un-curated, and independently managed by Feefo, a global ratings and reviews provider. 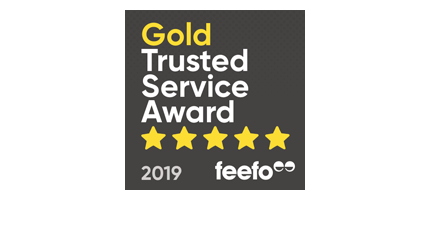 You'll see how we just earned Feefo's prestigious Gold Trusted Service Award for the third time! Service rating : Our booking specialist was excellent. She was helpful, she answered all of my questions and she provided us great information. She was also responsive as I needed to talk to her periodically due to some complexities in our booking. Vacation : I would like to have given 5 stars. Here is feedback about the trip which I sent to Insight Vacations. Dear Insight Global Guest Relations: My family and I recently returned from the above-referenced tour. I have some feedback for you that I wanted to share in more space than the evaluation forms would permit. We had a lovely time on the trip. The things we saw, the meals and the information we received about Spain and Portugal were all excellent. Most of the hotels were nice. The Hesperia Madrid was particularly lovely. In two of the hotels, the "Hotel Alameda Palace Salamanca" and the "Turim Saldanha Hotel Lisbon" there was black mold in the shower stalls. All that is needed would be a thorough cleaning with bleach but it appeared that this mold had been left to thrive. It was offputting. The hotels were fine - but I would not want to stay there again because of the bathrooms. The meals were nice as were the optional experiences. We particularly loved Cordoba and the Mezquita. Gemma, our guide there was excellent and made the mosque turned church come alive for us. I have been on a number of tours in Europe. Due to the people on this tour, I may never do another group tour again. The emphasis for many of the people - or at least the loudest/most vocal - was on how much they could drink. These were middle-aged adults carrying on like teenagers. It made dinner uncomfortable as the behavior was poor. Felipe, our Tour Director, is a very nice gentleman. He is calm, smart, and efficient. However, I think he is too nice. He was unable to rein in the rowdy behavior of a few making it difficult for others. Also, there were specific individuals who monopolized Felipe. As a very nice man, I think he found it difficult to detach from them. Therefore, it was hard to get his attention because a couple of the men were always talking to him. There was one woman on the tour - Maria Shea - who clearly thought the rules did not apply to her. We were supposed to rotate on the bus. She never rotated. She literally just seemed to pick where she wanted to sit on the bus and sat there. This was often up front. Felipe did not address this with her. Felipe left numbers in the seats each day so we would know where to sit. One morning, she got on the bus and re-arranged the numbers to benefit herself and her seating. This not only confused people, but created an bit of a furor when a couple with health issues got on to sit in their pre-arranged regular seat and found it occupied. Felipe had to fix it and took accountability for it but it was not his fault. When sitting up front, Ms. Shea removed her shoes and hoisted her foot up on the railing of the bus. This is unclean and unsightly. Although Felipe and Philippe, our bus driver, were sitting right in front of her, no one addressed it for it continued all day and again the next day when she managed to get in the front seat AGAIN. So you may be asking what the big deal is - it's the principle of the thing. When the rules state we rotate, then everyone who does not have a health issue should rotate. And those who are not in compliance should be addressed. If the rules are going to be suspended or ignored, then they should be for all. Ms. Shea was also one of the ones who over drank any time there was included wine and proceeded to behave poorly. Having been on prior tours I have seen behaviors like this before but they have always been addressed. Did I speak to Felipe at the time? I did not and I own that I should have. However, I felt he had to have seen the behavior and chose to ignore it. A couple of thoughts for you - make sure your rules are followed consistently or don't have them; limit people to 2 drinks and stick to that - if I want to be around drunks I can go to bars here; make sure people understand they need to keep their shoes on, and their feet off the seats, rails, etc. This was literally the first tour out of a dozen or so when I have chosen not to supply my email address as I did not care to hear from anyone on this trip due to the poor behavior. One other piece of feedback - we needed more time at our stops. I am disappointed that we did not have time for shopping in most of the places we visited. I understand our timeframe was short. Maybe the specific itinerary should be reviewed and something removed to provide more time to explore the cities. Thank you for your review of this email. None of the above impacted my specific enjoyment of what we did or saw. However, it did impact my feelings about group travel and about Insights, specifically. I appreciate you taking the time to read this. Service rating : Everyone every step of the way was terrific, especially Janice Pingo in the Lake Oswego office. She helped us get our documents a little early since we would be traveling prior to our trip departure. Vacation : Whirl is the key word, as you really do whirl through this trip. There are a couple of 6+ hours on the bus, but that's reality when you are getting from London to all those many, many cities and countries in such a short time. Tour Director Emile W. Bruss was so much more than just a guide: he is a philosopher, an epicure, a bon vivant and most of all -- your Life Coach, transporting you gently out of your comfort zone and into a whole wonderful world of new (and yes, foreign) experiences. How you "do" life is often quite different from how others "do" life -- and Emile shows you how to appreciate this in a truly life-changing way. Vacation : The tour was fantastic. However, GET did not inform us that the actual tour was under Costsavers/Trafalgar. We were a bit confused when we arrived at Rio. Service rating : Travel Specialist helpful, attentive and responsive. Would recommend. Vacation : Action-packed itinerary, and fabulous tour director (Bernard Creenan). Service rating : Agent handled all of our concerns and questions quickly. Vacation : We had a wonderful time. This is our second tour with Insight and our Tour Director Brad McEwan did and excellent Job. Service rating : Experience was fine. Vacation : It could have been excellent but for some additions which I didn’t think warrant seeing. This is my personal opinion. Specifically, Euromast, a long stop at the 20 windmills site could have been just a 10 minute stop on the bus for pictures not what it was. Ramada was find but the location was too far from city center, which eliminated exploring in the afternoon/evenings. It did give the hotel guaranteed food and beverages however. Service rating : Quick, easy, efficient. Always try to book through Josh when I decide to travel. Vacation : Saw a lot of places that I was interested in seeing or visiting plus some that I wasn’t expecting to see which was a plus. Good tour director; good tour group. Sometimes the smaller groups are best! Thank you for your business and for taking the time to write. Service rating : Everything went smoothly. Vacation : Great TD, good hotels, good food. Service rating : Organized, friendly and attentive. Yes I would use the agency again and recommend to others. Service rating : Travel specialist was knowledgeable, friendly and helpful. I would book another trip and refer others. We appreciate the recommendations, thank you! Vacation : I saw everything I wanted and more. Guides were tremendous. The knowledge they shared was wonderful. Service rating : Well organized. Tour was hectic and ran on schedule. Tour guide Martin was professional and very knowledgeable. Vacation : Trafalgar is a very good , organized and professional team. I will continue with them next year in my tour to Germany. Keep up the good work guys don’t ever change, unless improving! Thank you for everything! Service rating : The booking agent was very knowledgeable and very helpful in planning our trip. She was available to answer our questions. Vacation : Our vacation was quite wonderful. Spain is a beautiful country. Our God was very knowledgeable and we saw a learned a lot. Service rating : very easy & the agent was informative & pleasantly. excellent follow up communications as well! Vacation : it was one of the most fantastic vacations I ever spent the tour guides were educational and wonderful to interact with and looked after rest quite well. Hotel accommodations, travel coordination and areas we visited were marvelous and enriching I cannot wait to book my next trip with GET Is the fourth trip that I’ve been on with this company. Vacation : The tour guide was great! Service rating : We work with one particular GET agent, Diane Anzalone, who is extremely competent. We trust her to make the arrangements for us which she does in a timely manner. Vacation : Our tour director was just about the best one we have had, the itinerary was super, the lodgings luxurious and food great. That is fantastic to hear! We will be sure to share this with the team at Insight Vacations! Service rating : Flights well coordinated and appreciated aisle seats. Information received in timely manner. Travel specialist very friendly. Vacation : Actually, vacation exceeded expectations. Enjoyed cog railway, Tram lift to oversee the city in Brazil and the Samba and Tango performances in Argentina. The falls were magnificent from both sides along with the"safari" which should most definitely be encouraged. Also enjoyed gaucho performance/experience and of course Christ the Redeemer in Rio! Service rating : My trip was excellent. I had the same airplane seat going afor each day in thend coming back. However, I think that I will get the aisle seats in the premium economy. The airport transportation from and to the airports were fine with very friendly drivers. The hotel was located in a great location. It was easy to get buses and the Tube. The breakfast and services was great. The Guides were friendly and knowledgeable. The tour bus was very clean and comfortable with friendly and kind drivers. The weather was very decent with no rain. The other travelers were nice and friendly. The descriptions in the GET for each day were accuracy. I enjoyed this trip. Each day, our guides gave us the time for each morning activities and early evening for dinner. They made sure that we all were accountable before leaving. Vacation : It was a great trip and the weather was better than I expected it to be. My hotel room was fine. The guides were great and beside the main guides, we had other guides that know more about certain parts of the sightseeing.. The tour bus was clean, nice, and comfortable.The length at each place was enough time. The Cream Tea was great, and the dinners were fine and I had choices for each dinner. Service rating : Every step of the experience was wonderful. The agent I called to book with was very helpful in answering questions and getting my trip with flight booked. I recommend Grand European Travel to everyone I talk to about traveling abroad. Vacation : The program on this trip was excellent. The travel director was amazing. It was obvious she loved her job and working with people. Although some of the optional excursions should have been included int he tour price, I would absolutely tell anyone waning to go to Italy this is the trip to take. Service rating : Although the tour was fast paced it covered a lot of areas which made me want to return to Europe. The tour guides were very knowledgeable and experienced. Everyone in the tour group expressed how much they enjoyed the tour and I would recommend the tour. Vacation : I was able to enjoy the tour without feeling overcrowded by tourist. Vacation : This was a wonderful tour at a discounted winter price. The weather was fine throughout the trip. Vacation : Enjoyed going to all the locations. Service rating : The tour itself was 5 star. However, being partially disabled, having asked the agent before and during my booking, they were not forthcoming with the actual rigors of the tour. I even asked about scooter rental, which they dismissed as not being available or necessary. Consequently, I missed seeing several sights as I can only walk for short distances The bus stairs were also a detriment. The tour guide and bus driver were also 5 star. If you have health/disability issues, beware. We are very sorry to hear about the difficulties you faced while on your trip. All trips we offer do require a great deal of walking with stairs involved. We do try to make the physical requirements clear in our brochure and website and apologize if this was not made clear to you when you booked. Vacation : Great tour, dishonesty in salespersons made it a very painful time. Service rating : Responded quickly to questions, very helpful with flights (made sure our Global Entry Numbers were submitted), had useful advice for the trip. Vacation : The Australian portion of the trip was very good. Our travel director was very knowledgeable and helpful, and there weren't too many people booked on the trip. Optional experiences were also good. There were way too many people on the New Zealand portion of the trip and the day we flew to New Zealand was horrible. We spent the entire day waiting or traveling. We had to leave at 5:30 to pick up another group of tourists at a different hotel and ended up waiting forever at the airport for some of the others. Although our experiences in New Zealand were wonderful and the travel director was helpful, he talked WAY too much on the coach. Information about the country, it's people, plants, animals, landscape, etc. is VERY much appreciated, but jokes and personal information are not, nor were we interested in watching commercials. The sound system on the coach was way too loud and there was no way to tune them or the travel director out. Fewer people and less talk would have made the experience much more enjoyable. Both countries are amazing and we are glad we went. Thank you so much for the detailed feedback. We will be sure to share your comments with the Quality Control team at Trafalgar and ask for immediate improvement. We are glad to see that you enjoyed both countries despite the issues you encountered. Service rating : We were assured that all the hotel rooms we were going to be in had refrigerators due to the fact that a member of our group is diabetic and required storage for her insulin. None of the rooms had a refrigerator and most didn't have a phone for wake up calls or a clock radio. Mediocre lodging at best. Won't be using GET again for any future trips. We are very sorry to hear about this and apologize for any misunderstanding. While we cannot guarantee the amenities at the hotels, your Travel Director could have helped to make arrangements to have your medication refrigerated. We are sorry that you were disappointed in the trip overall and will share your comments with the CostSaver team. Vacation : I expected a bit more in promises and accommodations. Service rating : Ann was awesome... Took care of everything and everyone. To stops were a great variety of Ireland. Can't wait to come back. Vacation : We enjoyed the tour. This survey is annoying. Service rating : No real Customer Service....They did what they had to. They could have warned us about no free food on an 8 hour flight - would have been nice to know this ahead of time. Service rating : Harvey was our tour guide in Peru and he provided excellent, informative, thorough and humorous commentary throughout our tour. His knowledge of the areas in which we traveled was worthy of a couple of college level credits for all of us on the tour! We have spoken so highly of him and the tour itself that others of our friends are considering the tour WITH HARVEY as the guide. The accommodations, food and transportation were exemplary. We fell in love with the country and the people we met. My husband and I have never been disappointed in the tours we've taken with your company. That's fantastic to hear. We will be sure to share your feedback with Harvey and the rest of the team. Vacation : We couldn't have stayed home for what this cost! Joking... but such a bargain because it included planes, a boat and train! If we were to have booked this adventure on our own we couldn't have afforded it! Service rating : They are responsive and very efficient. Care about the customer. Vacation : Well organized. Excellent tour director Lisa. Hotels are very good. Service rating : GET employees are so helpful and responsive whether via email or phone - I really enjoyed working with them. Unfortunately, my original tour dates were cancelled so I was given the choice to go a week earlier or later. The staff was on top of things and switched my flights for me. I felt taken care of and not as an afterthought. Vacation : What an adventure! Had an amazing time in Spain thanks to an amazing tour director, Ellen. She was super organized, attentive, funny, and genuine. The itinerary is definitely fast-paced but I saw so many beautiful places! As an architecture fan, I was in heaven. The Be My Guest dinner was lovely and a definite highlight. Do your research on the optional excursions though (heard the flamenco show wasn’t that great) and be warned that a lot of the dinners are mediocre. But the hotels were nice and lots of choices at the breakfasts. This was my second tour with Trafalgar and I will definitely travel with them again. Thank you much for taking the time to share your experience in Spain. We couldn't be happier that your trip went well and we hope to be able to help you plan the next one very soon! Service rating : I would have rated it 5 stars except for four things. 1, In all the emails you sent, I did not receive my airport transfer vouchers. I had to ask for them. 2. We stayed in three hotels. The only good one was in Iguazu. The others were kind of lousy. 3. I did not book my flights you. I had enough American miles for one free trip and I purchased the other for my wife on AA. Apparently your policy is to NOT supply airport transfers unless flights are booked though you. So you advised that the transfer in Rio would be $90/person and $78 in Buenos Aires. I objected strongly to this so you supplied the transfers as part of my package. Had you not done this I would never have booked another vacation with you. YOU SHOULD DISCONTINUE THIS POLICY OF NOT PROVIDING TRANSFERS UNLESS THE FLIGHTS ARE BOOKED THROUGH. IMMEDIATELY. I am thankful that you changed this for me. You should change it for everyone. A taxi in Buenos Aires to the airport is about $25. Your excessive charges would have added $336 to the cost of my trip. 4. The information you sent regarding landing in Rio was that upon exiting customs I would see a person holding up a TRAFALGAR sign. There was no such sign. After speaking with a gentleman holding up another company's sign, he called the number you had given me for these transfers and our guy met us about 5 or 10 minutes later. He was there all the time, but he was holding a COSTSAVER sign. Vacation : Please see my previous comments. Service rating : In general the trip was good! Have enjoyed Hawaii very much. Could have arranged a few more sighting activities instead of free time. The hotel in Maui is excellent! One night in the big Island would be enough. Thank you for your feedback. We are glad you enjoyed the Aloha state! Vacation : See my comments above about my experience of this trip. Service rating : Service is generally good, but more attention spent on helping secure suitable seats on flights would be a real plus. This matter has become more problematic in recent years. I know this is due to the airlines, but having GT advocate for the passenger is a service issue. We couldn't agree more, however when it comes to assigned seating on flights, the airlines have 100% control. They have the same policy for any outlet that books a flight whether its through GET or through the airline itself. Some are easier to work with than others, but for the most part, the seating policy is set in stone. Vacation : Need to advocate for advantaged flight seating. Service rating : Our guide, Hani, was great! We are so happy to hear that your enjoyed the magic of Egypt. Thank you for taking the time to write. Vacation : Our guide, Hani, was great! A little surprising to have armed guards on the buses and cruise ship.